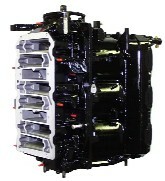 This program is for dealers who wish to rebuild their own powerheads, but require the Block to be replaced. 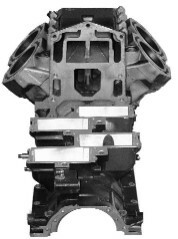 These Cylinder and Crankcases are hot tank cleaned, and prepared using the same process as in our remanufacturing program. 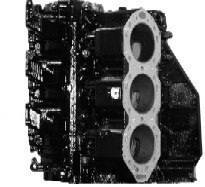 Each engine block has been inspected for bolt thread condition, bore and head surface distortion and has been inspected for cracks. If they pass our rigorous inspection processes they are bored and honed to the OEM's specifications using state-of-the-art Sunnen automated cylinder honing machine. After all that, they are cleaned and oiled to prevent corrosion during shipment. These blocks listed below are in stock. 2 to 3 days time must be allowed to prepare the blocks for shipment.